This tall bag of Bambo’s midi nappies is even better for the environment as it comes in packs of 66 to reduce waste from packaging. The nappies are made from sustainably sourced materials as the FSC certification tells us. They also boast the Nordic Swan label which means they must comply with the strict conditions regarding the environmental impact of the nappies. What makes them so good for your baby is the flexible and perfect fit design for babies between 11-20lbs allowing them to comfortably move around. The extra soft nappies are dermtaologically tested to avoid irritating babies’ sensitive skin making them some of the most comfortable nappies around. Despite the thinner design Bambo’s nappies are still super absorbent so not chance of leaks. 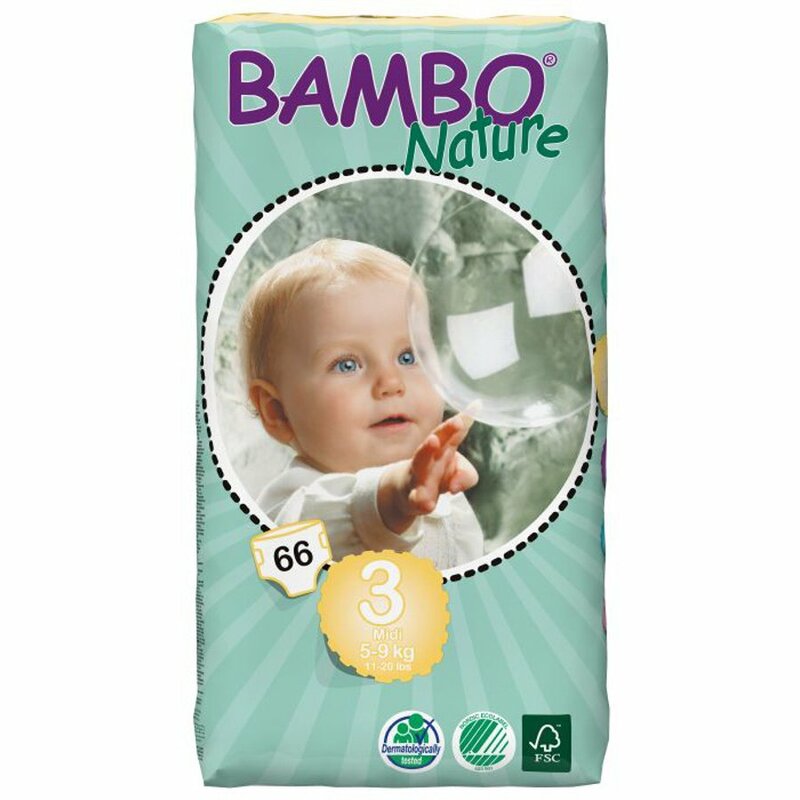 The Bambo Nature Disposable Nappies - Midi - Size 3 - Jumbo Pack of 66 product ethics are indicated below. To learn more about these product ethics and to see related products, follow the links below. Used for all three children. Recommend to other parents who want to buy eco friendly nappies, but arenâ€™t quite ready to go for reusable ones! We have found the bambo nappies to be kinder to our children's skin. Their skin has looked more red in other brands. Their sticky tabs are resilient too - I find papers rip more easily. They are also very absorbent. 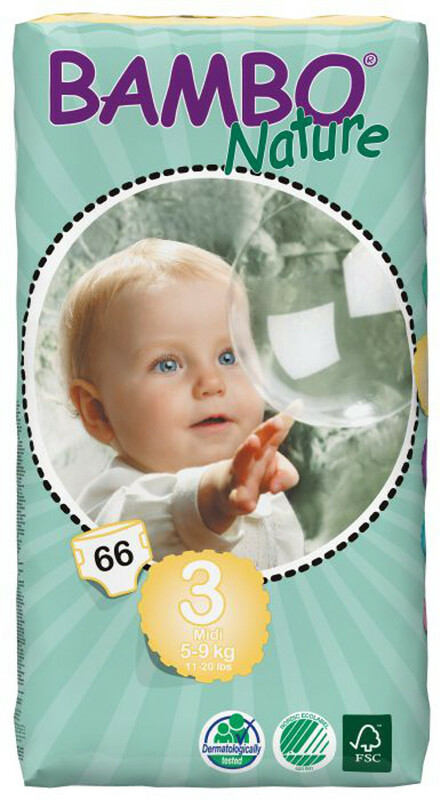 There are currently no questions to display about Bambo Nature Disposable Nappies - Midi - Size 3 - Jumbo Pack of 66.